ON SECOND THOUGHT really spoke to me because at its base it is about sisters and ones that aren't close. That sums me and my sister up to a tee. It caused me to question why I am not closer to my family and how alone I would be if I became a widow. As you can tell, I really enjoyed this book. The characters are well fleshed out, the dialogue is fitting and at times funny and the plot flowed. This isn't a book that will take you away from your troubles but will instead cause you to question your life. 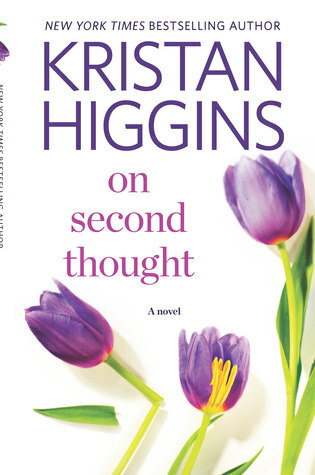 I highly recommend ON SECOND THOUGHT to any of my readers who enjoy women's fiction. It even has a hot firefighter to sweeten the pot.